The problematic roadway suffers from narrow lanes and failing infrastructure. The city is now gathering public input on a conceptual plan for improving the street. When you think of interesting neighborhoods in Houston, the Montrose would be near the top of the list. 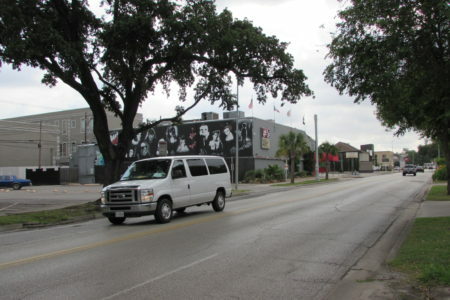 The Montrose has long been a center of Houston’s LGBT community. It’s also been a gathering place for artists and writers. It has places to shop for vintage clothes and collectibles, and lately it’s seen some trendy new restaurants. Not to mention several new high-rises that are adding hundreds of new residents. But all of this can make it a challenging place to get around. 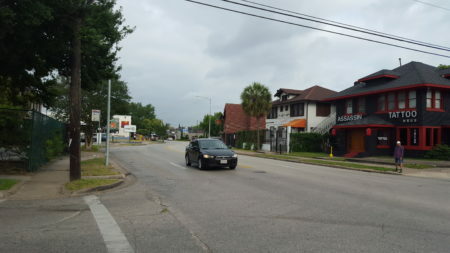 At the corner of Westheimer and Stanford, I meet up with Montrose resident Greg LeGrande. 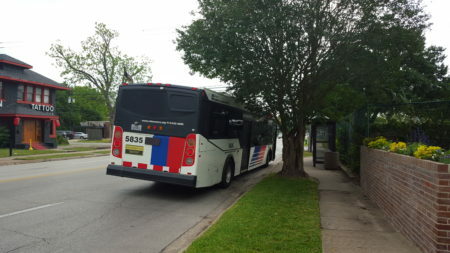 He’s an oil and gas engineer who’s lived in the neighborhood for about 12 years now, near that very tight spot where Westheimer starts to curve toward Montrose Boulevard. LeGrande is also on the steering committee that’s working on some plans for the road. LeGrande says one of the biggest problems on Westheimer is the size of its lanes. 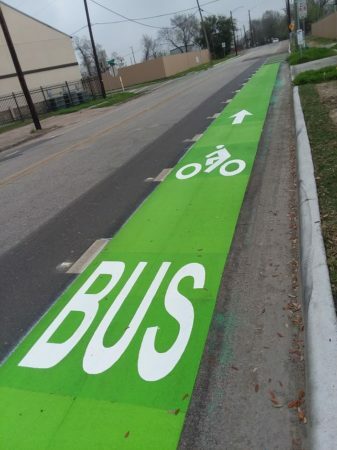 They’re only about nine feet wide, a foot or so skinnier than the typical lane. On top of that drivers have to share the road with buses. 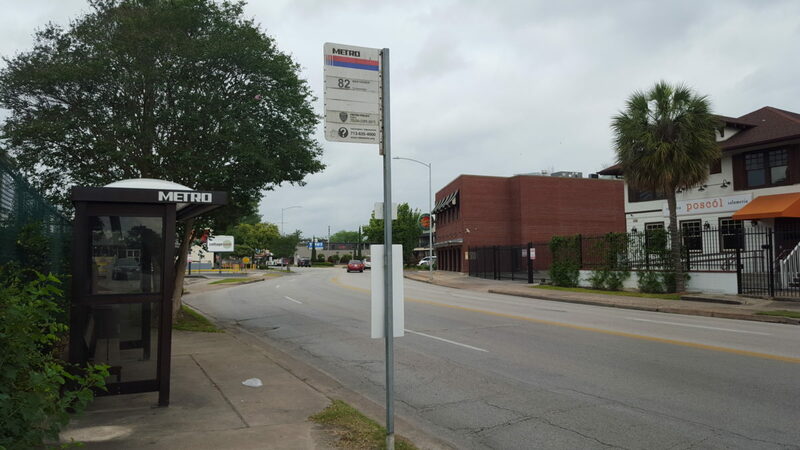 And Westheimer is Metro’s busiest route. 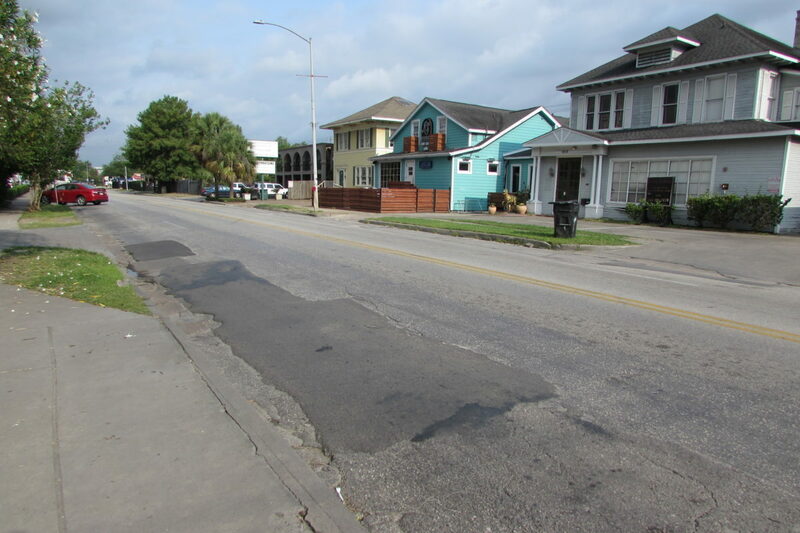 “So we have areas where we’re running vehicles that do not fit the lanes currently,” explains LeGrande. And when you put walkers and cyclists into the mix it can really get dicey. 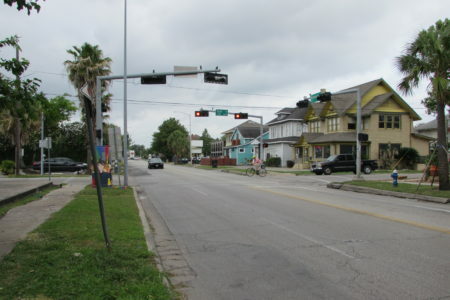 LeGrande points out there’s only one stoplight between Montrose and Bagby and drivers often exceed the 30 MPH speed limit. 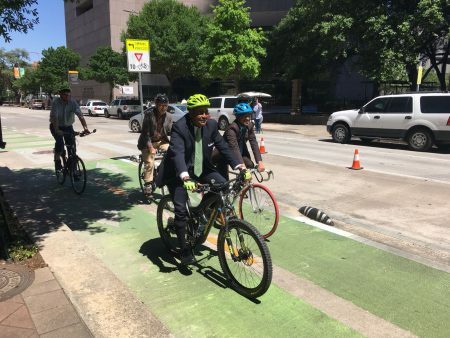 Houston City Councilman-At-Large David Robinson also lives in the Montrose. 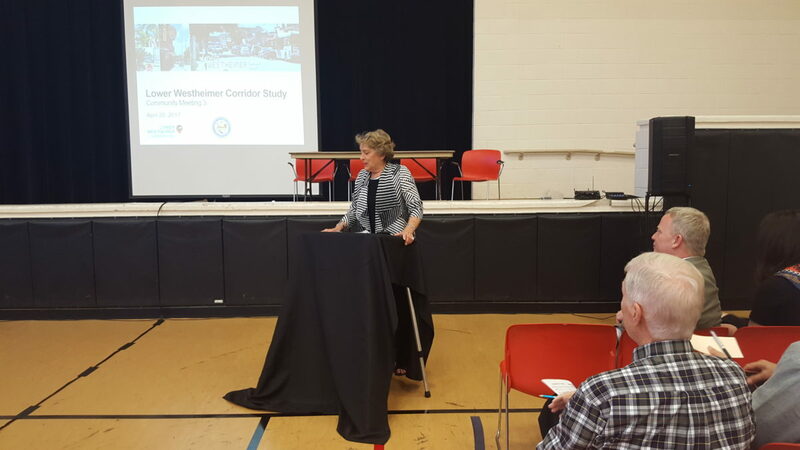 We caught up with Robinson at a recent public meeting on the Lower Westheimer Corridor Study. It’s an extensive plan to improve the corridor within the existing footprint and without taking any right-of-way. 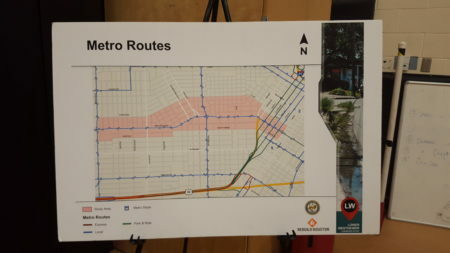 The first phase of the project runs from Main Street to Montrose Boulevard (You can see a video of the city’s plans above). Robinson says one of the things they have to consider in planning that project is the street’s uniqueness. So how exactly does the city plan to do that? 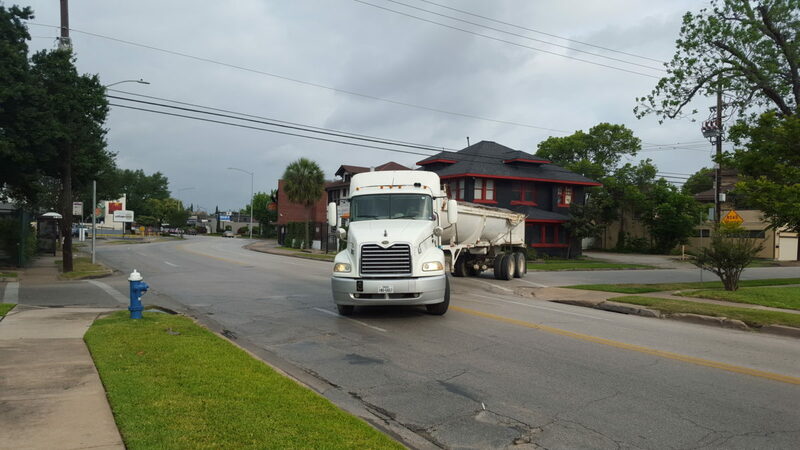 We ask Paresh Lad with Houston’s Public Works Department. 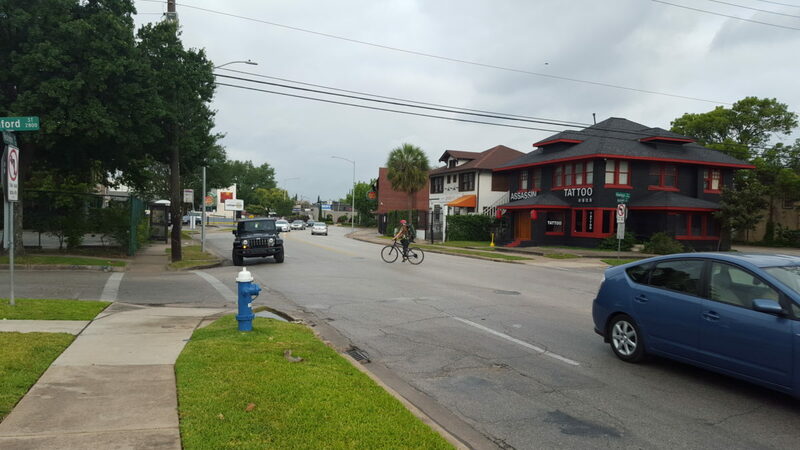 He helped conduct a survey to see what neighbors want along Westheimer. 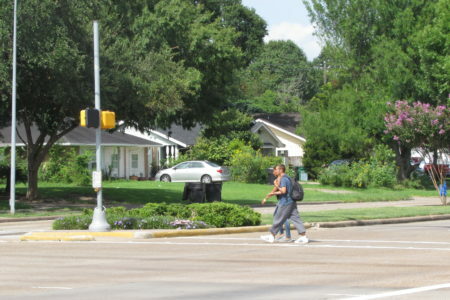 Most residents said they wanted safer places to walk. Coming in second were improved lanes for car traffic. 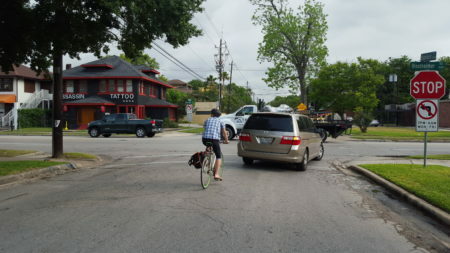 Lad says Lower Westheimer is basically a four-lane street that functions as a two-lane artery. 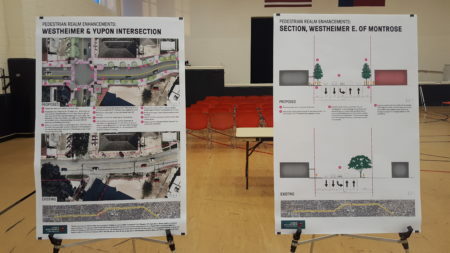 The plan they’re considering would reconfigure the street with one lane in each direction. There would also be some left-turn lanes. 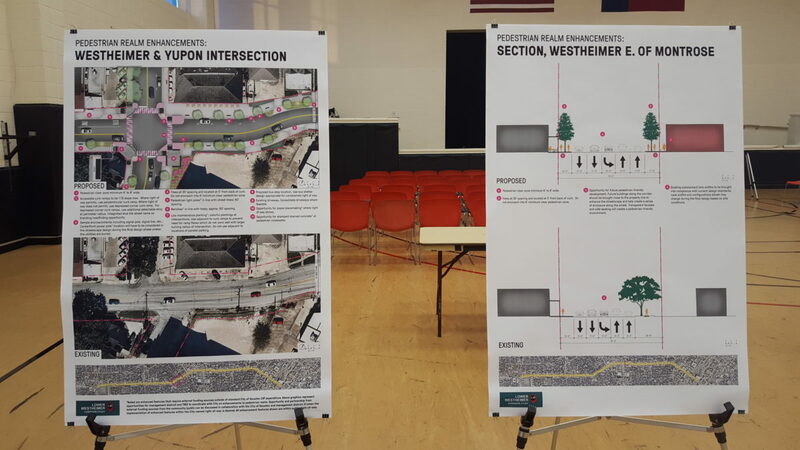 Plans also call for widening the sidewalks to at least six feet and designating crossings for pedestrians and cyclists. 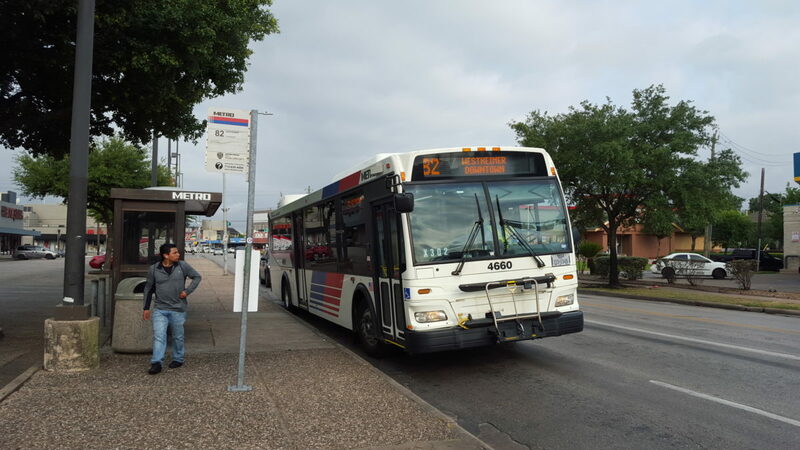 Lad says they also want dedicated lanes next to transit stops so buses can pick up riders without blocking traffic. Before any of those improvements become a reality there’s going to be a lot of construction, but that’s not expected for about another three years. 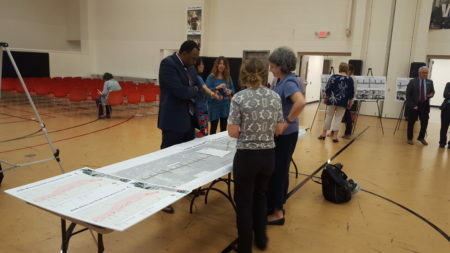 Officials say the Lower Westheimer plan is still in the conceptual stage and the city is taking public comment through the end of the month. Back at Westheimer and Stanford, Greg LeGrande says when the job is finished he hopes they’ll have a street that’s actually planned and not one that just sort of happened. The cost of the Lower Westheimer project is estimated at about $14 million, with much of it coming from the ReBuild Houston initiative. 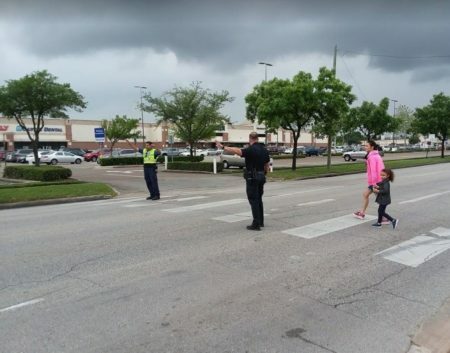 Officials hope to eventually extend the Lower Westheimer project all the way to Shepherd, with the goal of keeping things interesting but safe.